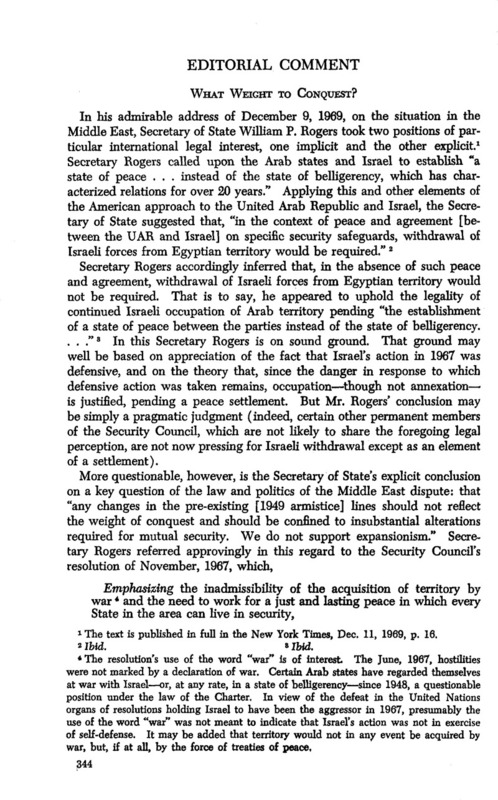 1 The text is published in full in the New York Times, Dec. 11, 1969, p. 16. 7 See, however, Kelsen, Principles of International Law 420-433 (2nd ed. by Tucker, 1967). 8 It should be added that the armistice agreements of 1949 expressly preserved the territorial claims of all parties and did not purport to establish definitive boundaries between them. 9 Elihu Lauterpacht, Jerusalem and the Holy Places, Anglo-Israel Association, Pamphlet No. 19 (1968), p. 52.